The Inverted Full Persian Earrings are very geometric in their shape. They can be made starting at either end of the earring. They are quite a conversation piece with your friends. This is an ntermediate weave. 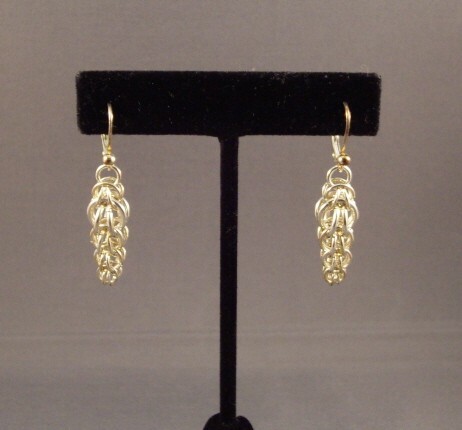 Sterling silver plated or gold plated leverback earring findings are included in the kit.